Do you need to report an eyesore? Discreetly let the City of Orlando know about code violations within city limits. Give your neighbors a chance to fix the problem. If you’re comfortable, talk to whomever is responsible for the violation before reporting it. Expect the city to respond to your submission within two business days. To use this service, the violation must be within city limits. If you like the “set it and forget it” approach to paying your bills, Top Notch provides an automated payment service that will pull your Quarterly dues directly from the account of your choice on a date (1st through 5th) that you designate. Simply download/print the ACH form from the link above, fill it out, and send it and and a voided check to the address listed on the form. You can also set up an online payment directly from your bank after you receive the coupon mailers for 2019, which will be coming out in a few weeks. Fairway Cove is hosting a community-wide garage sale! 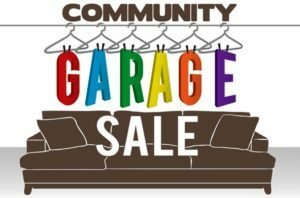 Posted in Events, News, Uncategorized	| Comments Off on Community Garage Sale 10/20! Agenda – Discussion and adoption of the 2019 proposed Operating Budget, wherein the Board of Directors will review the operating expenses of the Association and consider the annual budget and assessments for the 2019 fiscal year. 4th Quarter Assessment Payment Information – IMPORTANT! Posted in News, Uncategorized	| Comments Off on 4th Quarter Assessment Payment Information – IMPORTANT! We are cancelling our planned September Board meeting so the new management company, TopNotch, has more time to prepare after receiving the files from Sentry recently. The ARB meeting is still planned for Wed, Sept. 19 from 6:20-6:30pm, and will be held at 6613 Crenshaw. Our next HOA Board meeting is scheduled for October 17th. Car Burglaries In Fairway Cove!! 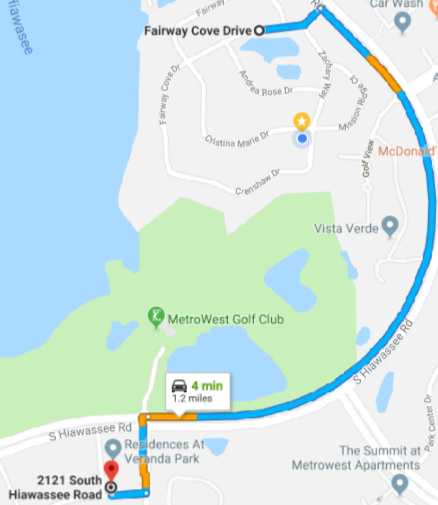 In the late night hours between Wednesday, 7/25 and Thursday, 7/26, we had another wave of car burglaries on Zachary Way, Andrea Rose, and Mission Ridge. This follows a rash of burglaries from the week of July 18th, although those were all on unlocked cars. This week the suspect(s) were breaking windows when something of value was in the vehicle. OPD and CIS will be stepping up patrols, but they cannot be here 24/7. It is critical that neighbors protect their property by locking doors, setting alarms, activating cameras, and removing anything of value from your car. Communicate with your neighbors, telling them the same, as not everyone is on social media. Don’t give these criminals a reason to come back into our neighborhood! If you see or hear anything suspicious, call 911! Posted in News, Uncategorized	| Comments Off on Car Burglaries In Fairway Cove! !